The income recession afflicting Australia has been well documented on this site. 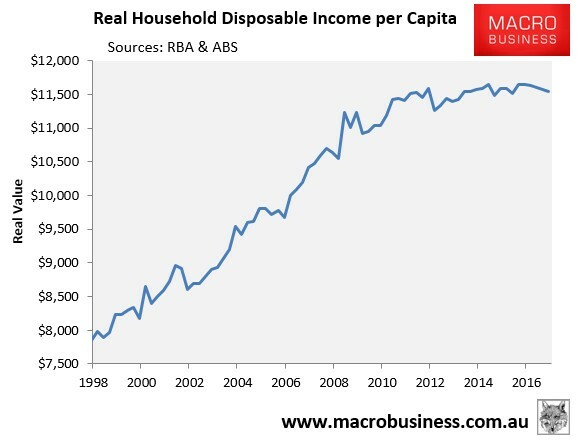 Evidence comes from a variety of sources, all showing that typical Australian household incomes have fallen over recent years when adjusted for inflation. Consider the below charts illustrating the situation. 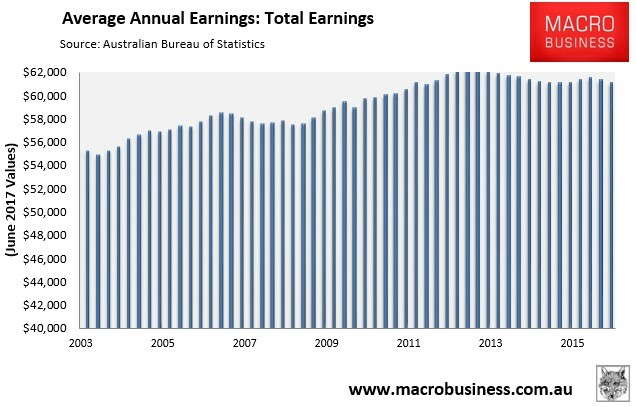 So the evidence is clear: Australian household incomes have been falling. The first study of its kind into the underlying causes of the rec­ord low wage growth cycle, which the Reserve Bank saw as perplexing in a May analysis, has revealed a nationwide problem infecting every sector and hitting almost every worker. 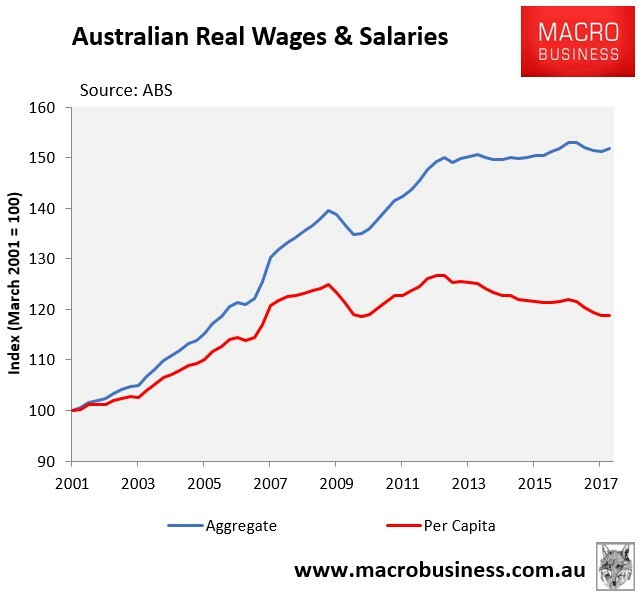 Real wage increases over the past five years, taking into account the cost of living, have averaged half of what they did in the preceding decade, while fewer than 10 per cent of workers have experienced wage growth of 4 per cent or more — the lowest level since 2000 when the figure was 40 per cent. The percentage has been declining since. 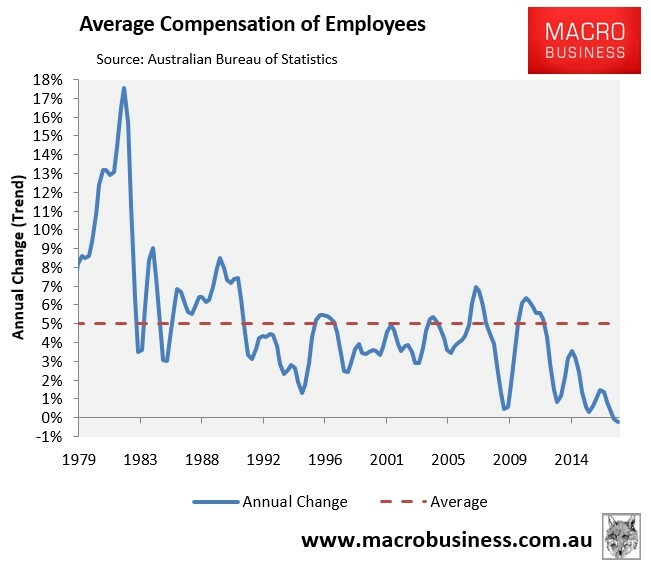 The study undertaken with input from the RBA, the Australian Bureau of Statistics and the Department of Employment showed that while wage growth weakness had been indiscrim­inate across industries and occupations, some groups, middle-income earners in particular, had carried the greatest burden. 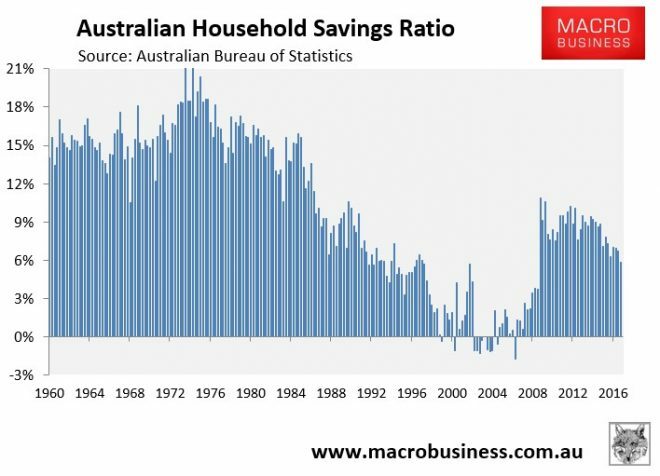 Running down savings to maintain consumption is clearly unsustainable and unless real income growth turns positive, consumption spending will soon take a hit, dragging down growth. Comments are hidden for Membership Subscribers only.